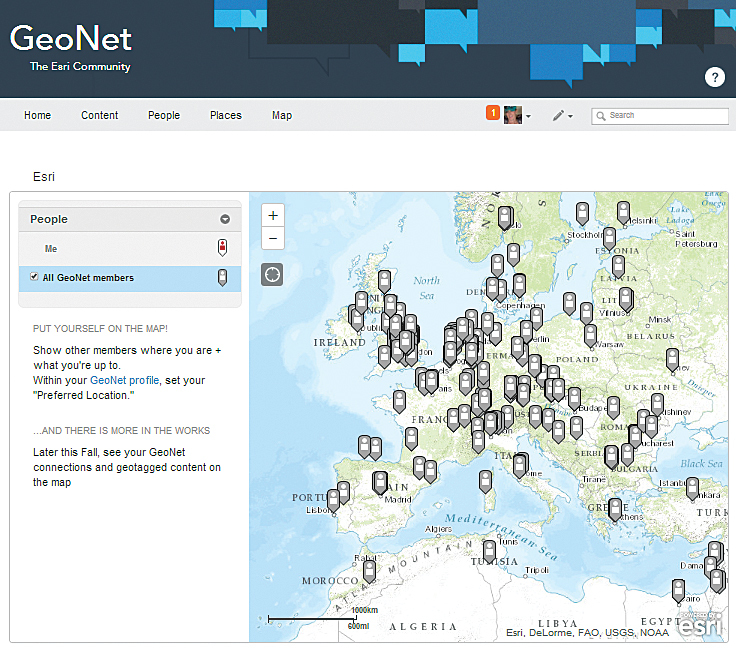 Put yourself on the GeoNet map by joining this community of GIS users. Much more than your forums in a new location, GeoNet is a way to help you do your job better. GeoNet is a community where you can create discussions, upload files, collaborate on documents, share videos, and write blog posts. Esri has provided a general platform for the community with spaces focused on industries and products. Content items can be created within one of these spaces so others who are interested will receive notifications of new activity and can engage in the conversations. If your interests fall outside those categories, you can create your own without making a formal request. Just create your group, give it a description, add tags, and define the membership level. The group is yours to manage and customize. GIS and E911, Facilities GIS User Group, ArcGIS Marketplace Apps, and Deutsch are just a few of the groups that have been formed. Of course, GeoNet has a spatial component. 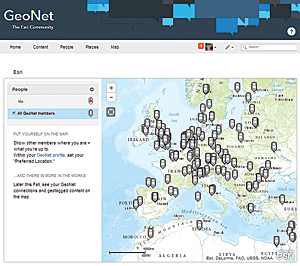 You can put yourself on the map along with others in the GeoNet community. You can embed publicly shared maps within content as a thumbnail with a direct link to the live map, opening up a new channel to share and create conversations around your maps. Get started witih GeoNet by simply logging in with your ArcGIS Online account. If you do not have an account, you can easily create one. Log on today and start searching for topics that interest you.